"Little’s tone is nigh on ideal, capable of an extraordinary ethereal sweetness... Davis and Chandos support this flight with a gorgeous cushion of string sound, surpassing any other audio account that can recall... what’s not to like?" "Five Stars... Little’s spacious and serene way is both beautiful and beautifully unfussy. State-of-the-art sensitivity and support come from Andrew Davis and the BBC Philharmonic and Chandos’s recorded sound presents a feast of clear orchestral detail." "(The Lark Ascending) still comes up fresh and spring-like, played as it is with immaculate poise and clarity and a sense of radiant stillness... I would recommend all doubters and sceptics to lend an attentive ear to a performance of Moeran’s fine work that offers the best possible advocacy." 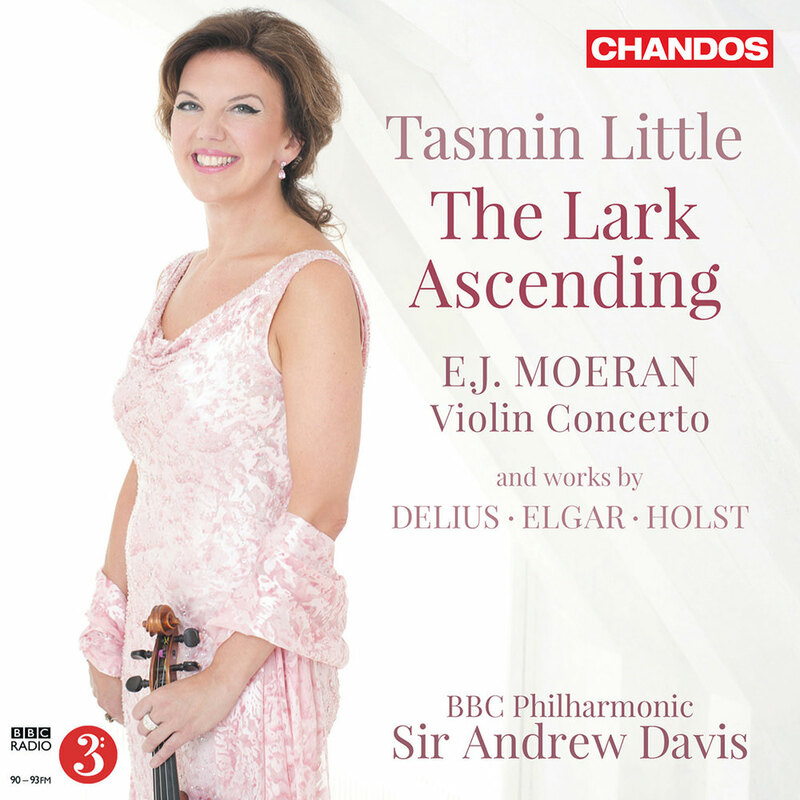 World renowned violinist Tasmin Little demonstrates her unique affinity for some of the best loved British composers of the 20th century in this release with Sir Andrew Davis and the BBC Philharmonic. The recital includes works by Elgar, Delius, Holst, Moeran and the title piece by Vaughan Williams, a much loved romance for violin and orchestra, long considered a pièce de resistance for Little. The three works by Elgar—all heard here in arrangements for violin and orchestra by Roger Turner—include Salut d’amour, one of the early pieces that made the composer’s name.